You can convert DIVX to AVI on Windows by using an application that allows you to convert your video files into another supported format. You need to add to select the video that you want to use and convert it using the conversion process. The time can vary according to the size of the file concerned. There are a number of format options that you can choose from for the conversion time. The profile options will also influence the time it will take to convert the file. The quality of the file can vary according to the video taken. The images can make the video blurred and there can be a delay so the way to combat this is to set a higher quality for a clearer video with no associated sound problems. It should not take you long to be able to set up everything that you need to be able to install the package. 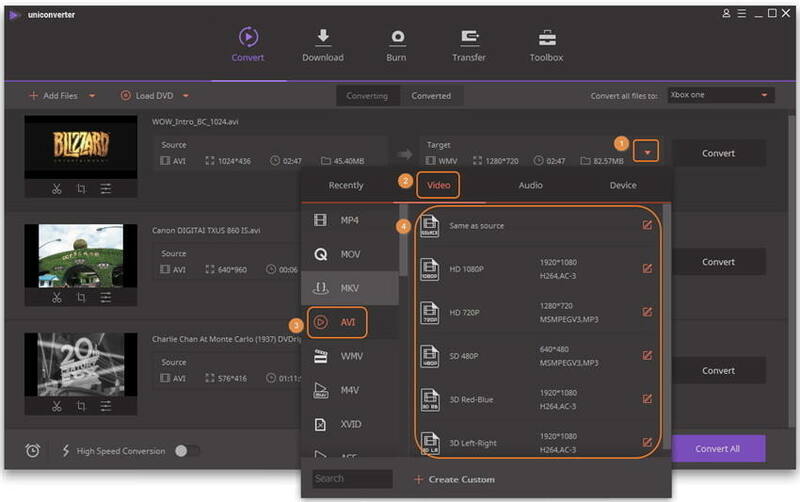 The main reason that you would want to convert from DIVX to AVI on Windows id primarily because you want to be able to optimize the settings for a better output. 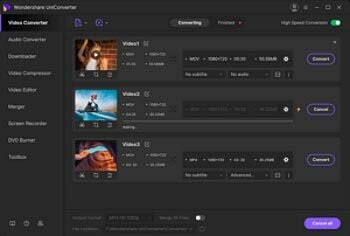 You can customize the settings in terms of the video quality, audio quality, bit rate and the frame rate for your specific requirements. You can gain a higher quality of video with easy to use options. You can control the format and the quality of the output files that are generated. You can convert DIVX to AVI by using a desktop converter to convert from one format to another. The most suitable software to use at the moment would be the Wondershare UniConverter (originally Wondershare Video Converter Ultimate) which encompasses everything you would need for this type of conversion. It allows you to convert videos between different formats and to export them to different types of device. You can edit, download, convert and burn different video formats between hard disks and optical media for an all-round solution. The following are the detailed steps for your guidance. The download part is straightforward and easy to use. Make sure you're downloading the right version to your PC and launch it after installation. 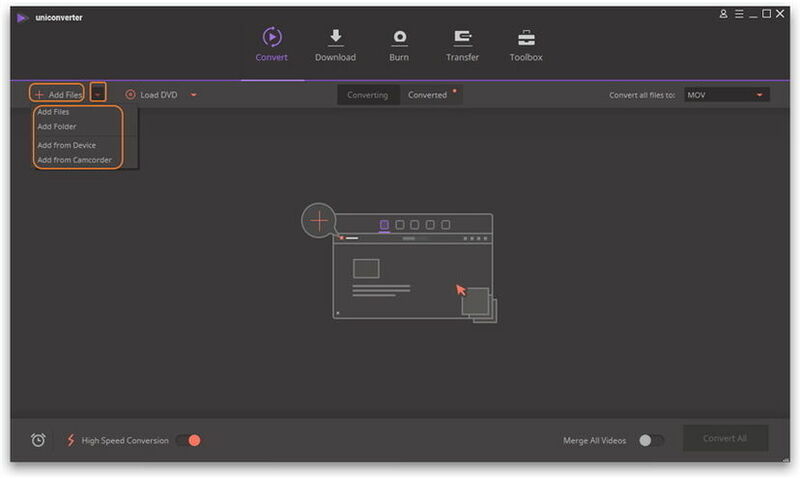 In the main interface of the application, you can click on the Add Files button and import the DIVX files, or you can drag and drop the files that you require to the program. You're able to edit the file in terms of the quality represented, just click the editing icons under the video thumbnail after importing to the program. Now click the down arrow button from the Target box and select Video tab, choose AVI in the left sidebar and select the video resolution in the right to confirm the output format. OnlineVideoConverter.com can be used as a converter to convert DIVX to AVI on Windows. The DIVX to AVI converter can be used to convert the DIVX Media files to AVI which stands for Audio Video Interleaved. You can select a DIVX files such as .mp4, DIVX and click a button to convert the file in order to upload your file. Once you have uploaded the document then the converter can be used to redirect you to a webpage to show the conversion result. Note: DIVX is a media container format that is developed by DIVX Networks which is based on a MPEG-4 standard which is a high quality video compression codec that can compress video clips into smaller sizes so that you can achieve a high visual quality. The file extensions can be .mp4 and AVI, also known as Audio Video Interleaved is a multimedia container format introduced by Microsoft which allows audio with video playback.